Vanessa Carlton tied the knot with Deer Tick’s lead singer and guitarist John McCauley on Friday, her rep confirms to Us Weekly. 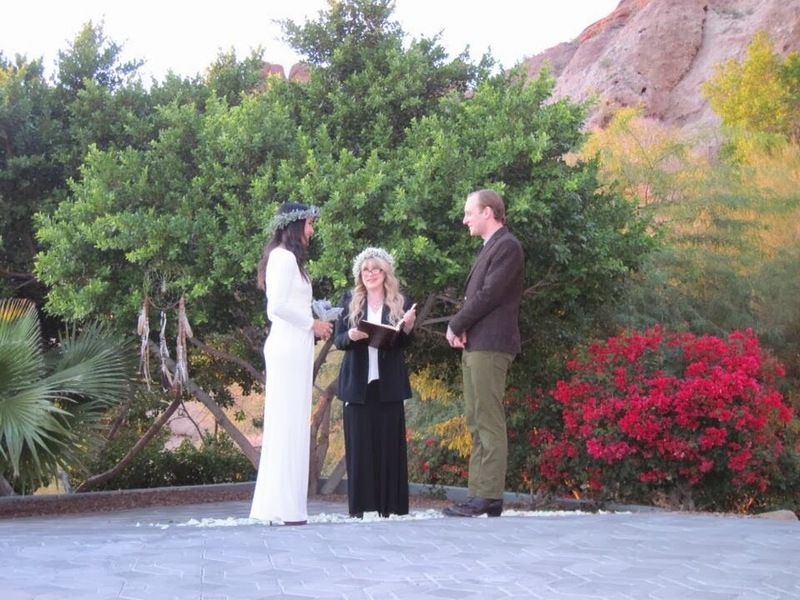 The singer also revealed that Stevie Nicks officiated the ceremony. “Married this gentleman two hours ago xo,” Vanessa Carlton, 33, wrote via Twitter late Friday night. Alongside the caption, the new bride shared a photo of herself and her new husband beaming at each other while holding hands. Vanessa Carlton looked stunning for her special day, wearing a tight-fitting, long-sleeved white wedding gown, and donning a purple head piece and matching flowers. John McCauley had a casual outfit, green pants and a brown button-up. Vanessa Carlton previously dated Third Eye Blind’s Stephan Jenkins from 2002 to 2007.